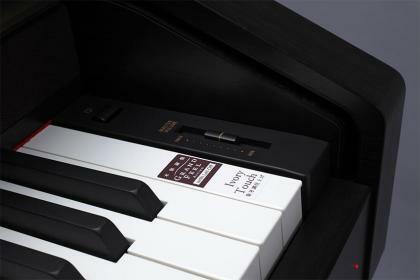 Start with superior piano tone and touch… then add hundreds of other sounds, plus USB Audio functionality. 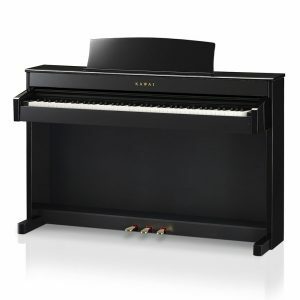 Top it off with an elegant cabinet and you have the CN35, as beautiful as it is powerful. 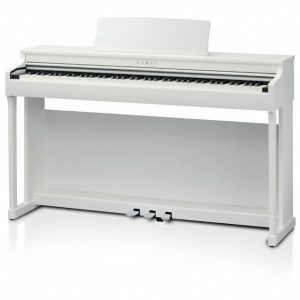 The impressive CN35 features our highly-regarded Ivory Touch key surfaces This finely-textured material gently absorbs fingertip perspiration and oils to avoid slipping and provide greater playing control. 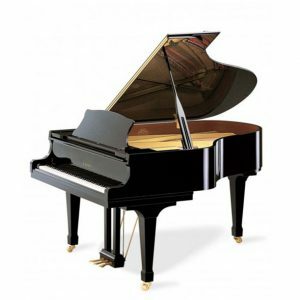 Moisture is absorbed without dirt or grease permeating the key surfaces, allowing them to be easily wiped clean with a damp cloth. 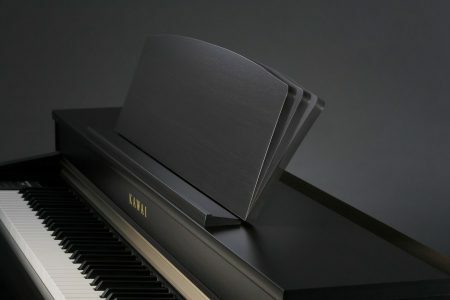 Unrivaled in its class, the CN35 features an innovative 4-way speaker system designed to reproduce the full harmonic spectrum of an acoustic piano. 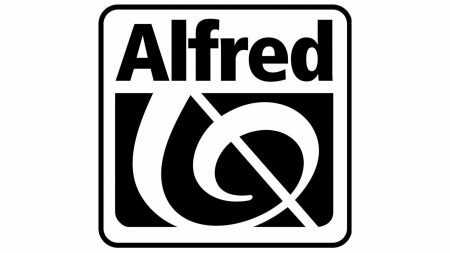 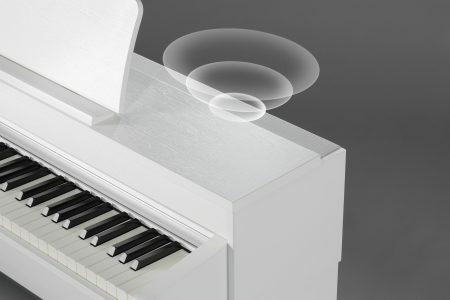 Lower-range frequencies are delivered through the underside of the instrument, while mid and high frequencies are projected outward via top-mounted speakers, closely mirroring the sound projection characteristics of an acoustic piano. 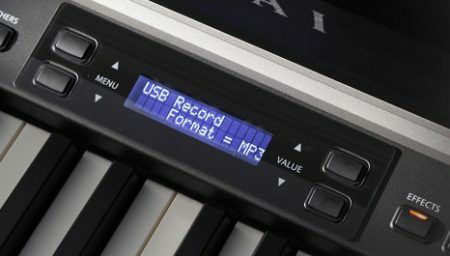 The CN35 can record and play digital audio file using a USB memory device, in either MP3 or WAV formats. 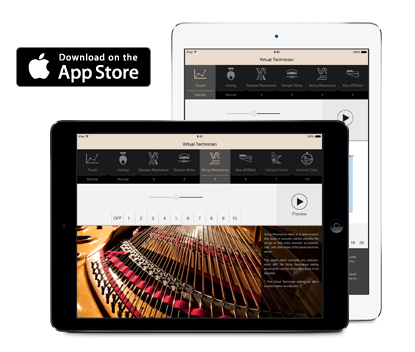 Record your live playing or Internal Recorder songs, or play along with your favorite recording artist. 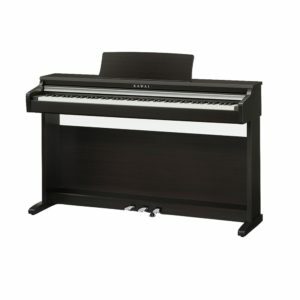 Transfer your MP3 to a computer for emailing to family and friends. 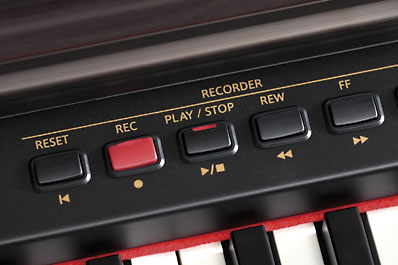 The recorder on the CN35 allows up to three songs to be stored in internal memory and played back at the touch of a button.This functionality is expanded with 2-track recording that allows left and right-hand parts (or two different voices) to be recorded separately. 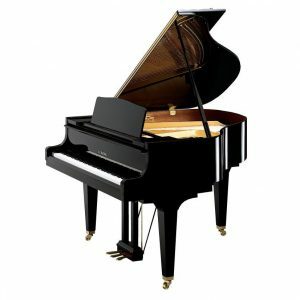 Players can play back the left-hand part while practicing the right-hand part live—or vice versa—to strengthen hand independence. 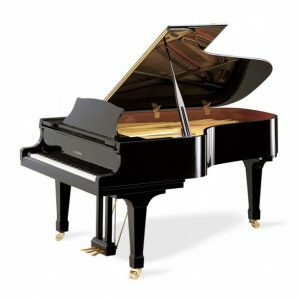 A skilled piano technician can personalize an acoustic piano’s sound and touch response. 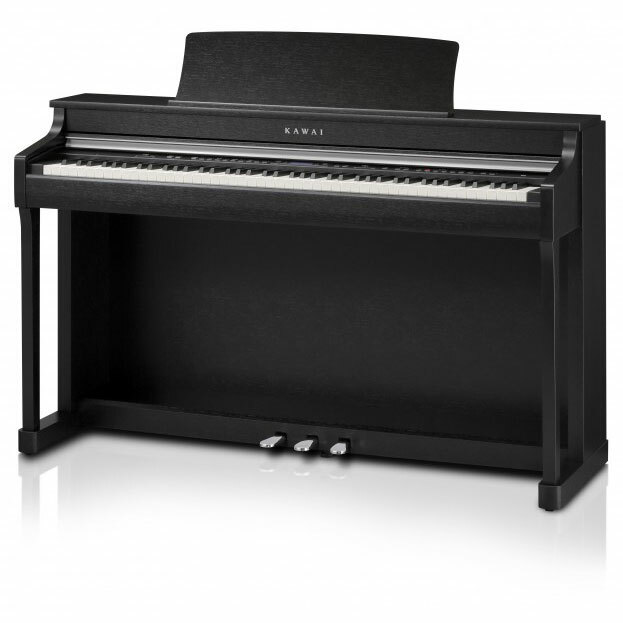 Kawai’s exclusive Virtual Technician does the same for the CN35 digital piano. The C35 features three pedals – soft, sostenuto, and damper (with half-damper capability). 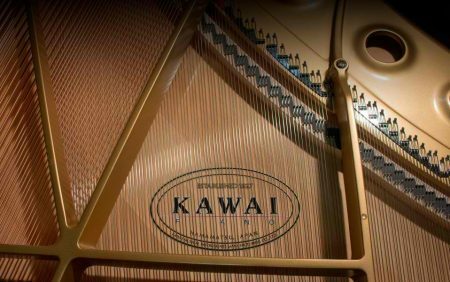 The new Grand Feel Pedal System reproduces the individual weighting of each of the three pedals of the Kawai EX concert grand. 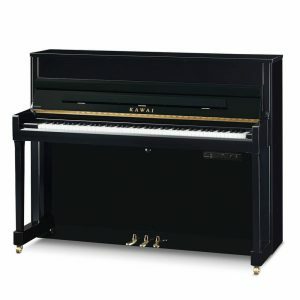 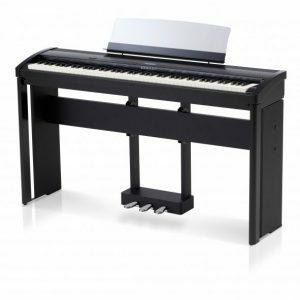 As with a grand piano, the viewing angle of the CN35 music rest can be adjusted to suit the performer’s playing position or laid flat to provide a level surface for notating scores.